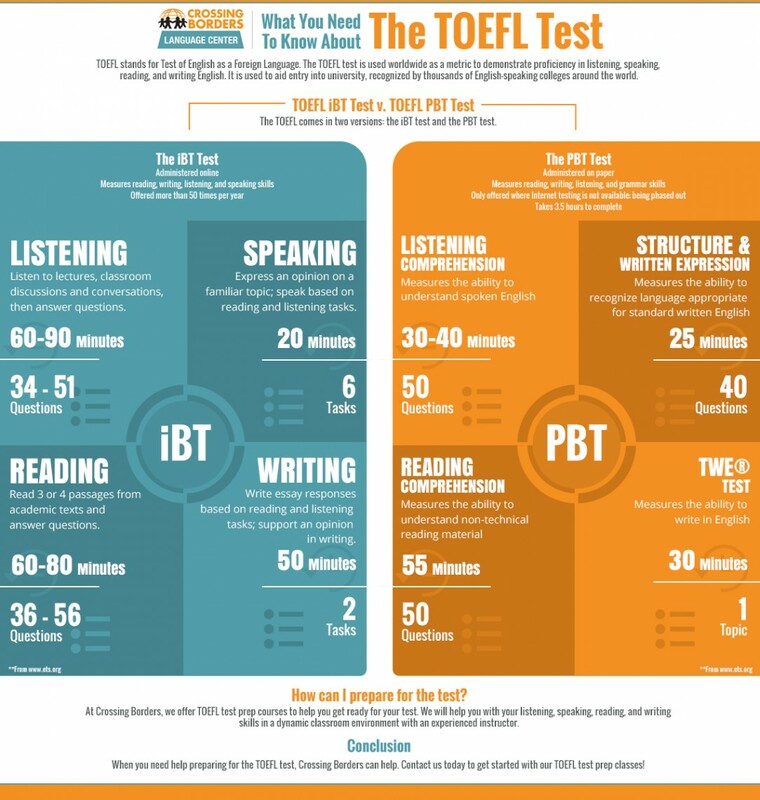 The TOEFL test is important for anyone who speaks English as a second language and intends to attend an English-speaking university. This widely recognized test serves as a measure of how well you speak English, and is recognized by thousands of colleges around the world. If you live in the Houston area and need to take the TOEFL test, Crossing Borders can help. We offer TOEFL test prep classes with experienced instructors and an engaging class structure to ensure that you feel confident in your English speaking, writing, listening, and reading skills.